Papers may address, but not restricted to, the main theme from any of the sub-themes as depicted in the Announcement. Unlisted but related sub-topics are also acceptable. Plant breeding is an important field of research for improvement of yield and quality of plant production. The achievements of plant breeding have had tremendous on economic and national development. Advance techniques and tools would be able to assist plant breeders in their practice of selection and strategies for plant improvement. 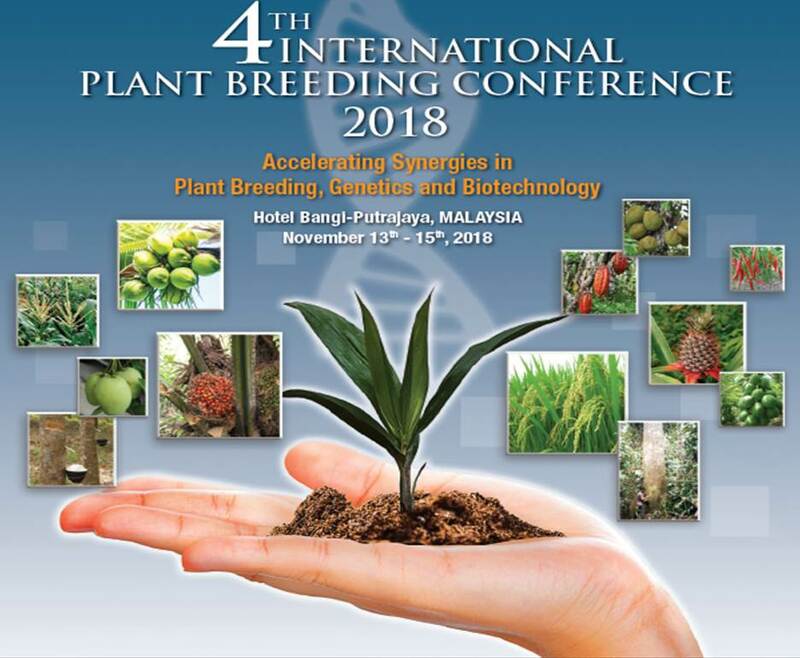 This Conference will be its fourth debut of Plant Breeding Conference Series organised by the Genetics Society of Malaysia, which begun in 2012. Due to the overwhelming success of the first, second and third conferences, we are pushing this fourth conference into a bigger role in accelerating synergies in plant breeding and genetics. This 2-day conference will address the latest advances in various plant breeding activities and its achievements. More than 20 keynote and invited speakers will be presenting their views and findings in this conference. The conference will provide opportunities and gather as many plant breeders, agricultural scientists, geneticist,researchers, academicians, biotechnologies and student to share their latest knowledge, experience and achievements in plant improvement programmes. Authors are invited to submit papers for oral and poster presentations. Authors are required to submit a full paper consisting a paper title, author(s), address and e-mail,abstract, introduction, methodology, results and discussion, conclusion, acknowledgements and references. The paper should be prepared using doubled-spaced New Times Roman with font size 12 and up to 15 pages, including tables and figures. Submission of the paper can be made via online submission system. The deadline for submission of the paper is 30th May 2018. Acceptance of the paper will be notified in two weeks after receiving the paper. 1. Registration and submission of abstract, poster, full paper/camera-ready must be done electronically through the online submission system. b. For PGM Member - Please key in your Membership No.